Hello Applicants! Punjab School Education Board has been successfully issued the Notification of Teacher Eligibility Test (TET). Massive numbers of applicants have applied for this Notification now and checking for their Syllabus of this examination. Well this is the most amazing chance for all applicants to become School Teachers in Primary and Upper Primary Schools. Download PSTET Exam Syllabus and Exam Pattern now and collect all kind of important news of this exam from here. Applicants may easily download PSTET Exam Application Forms 2018 this time. With the help of this page, you will get PSTET Exam all important dates and Syllabus of this examination. We want you to know all topics of this exam and collect more important stuff. State Council of Education Research & Training (SCERT) Punjab has issued the notification for Punjab State Teacher Eligibility Test 2018. Eligible applicants should not miss this amazing chance to grab Latest Government Teachers Jobs in Punjab state. There is going to be Paper I and Paper II Exam for PSTET Exam 2018. Check all stuff easily by below passages. There is not going to be negative marking in this examination. This is important for all applicants to study so hard for this examination by making awesome Exam Schedule. We wish you guys best of luck for this examination. 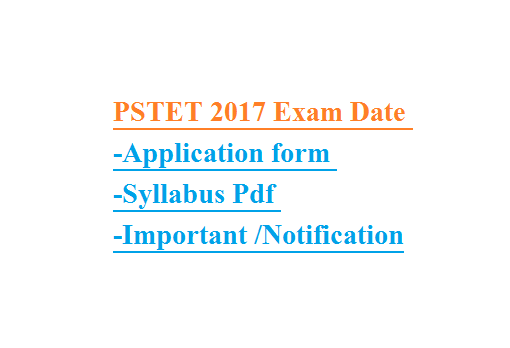 Download PSTET Exam Syllabus in PDF format from the official website. There will be all Multiple Choice Questions asked in this examination. Grab all kind of information easily from here and study a lot for this examination. diversity of language ,caste,gender, community, religion etc. Formulating appropriate questions for assessing readiness levels of learners; for enhancing learning and critical thinking in the classroom and for assessing learner achievement. Evaluation through formal and informal methods. caste, gender, community, religion etc. and critical thinking in the classroom and for assessing learner achievement. Reading unseen passages- two passages one prose or drama and one poem with questions on comprehension, inference, grammar and verbal ability (Prose passage may be literary, scientific, narrative or discursive). Environment in its totality: natural and human environment. Human Environment: settlement, transport and communication. The Online Application Process of PSTET Exam is still going on. If you think you are eligible for this Notification then you can study proper information of this examination. 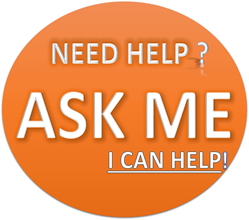 We are always ready to help you guys in all kind of information. We have also mentioned below important dates of Punjab State teacher Eligibility Test. Now you have got all important dates of this examination. You should not leave this amazing chance to become Teachers in Punjab state. You should also know proper Punjabi Language because you are going to become Teachers of Punjab Schools. Download more information from here easily. Date of Exam Results: will be notified you guys very soon. Interested candidates are also advised to grab all kind of important information from here. We wish you guys all the very best for this examination. Large numbers of info will be shared with you guys on time.